23 November 2018 (Toronto, ON) - Following the release of his debut album Blue, Platinum-selling hitmaker Jonas Blue has delivered the stripped back acoustic version of his latest single, “Polaroid” today via Positiva/Virgin EMI/Universal Music Canada, the country’s leading music company. 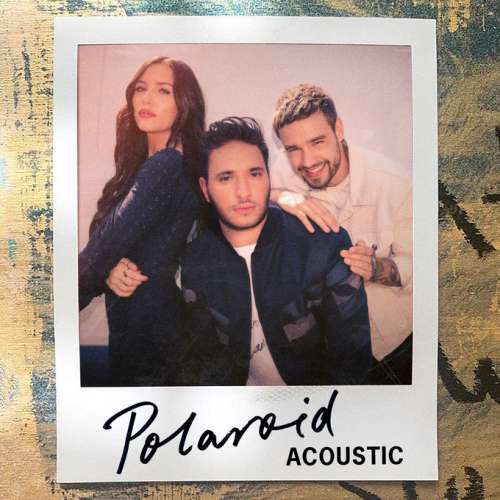 Listen to “Polaroid” (Acoustic) featuring Liam Payne & Lennon Stella HERE. Focusing on the record’s soothing instrumental use and downtempo vocals, the acoustic version adopts a slick laid-back feel, led by the dynamic vocal range of Liam Payne, the One Direction alum who needs no introduction, and Lennon Stella, the Canadian singer and actress best known for her breakout role in the popular TV show Nashville. With the original version of “Polaroid” already surging to almost 70 million global streams and peaking at number #2 in the iTunes chart so far, the track has gained a place in BBC Radio 1’s A-List and looks set to follow in the footsteps of Jonas’s previous single “Rise” (over 750 million global streams). The track follows the recent launch of his debut album Blue, a 15-track production packed with all of the UK star’s biggest hits including his stellar singles “Fast Car”, “Perfect Strangers” and “Mama”. With Jonas enjoying another huge summer in 2018, performing a successful Balearic residency at Hi Ibiza, the Brit - who has amassed 4 Brit Award nominations in his career so far - also recently launched his own record label, Blue Future. Continuing his meteoric rise, Jonas Blue’s “Polaroid” (Acoustic) perfectly encapsulates the stunning vocals of both Liam and Lennon. All three artists recently performing the hit on BBC Children in Need, where Jonas displayed his skills as a live instrumentalist via keyboard.